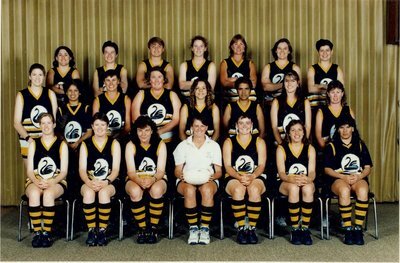 Beginning in 1987, the West Australian Women's Football League is a continually growing, fully structured football league catering to females within the Perth metropolitan area. With nine clubs competing, the WAWFL welcomes players of all experiences to embrace the game we love. Our senior competition runs for fourteen weeks, followed by our finals campaigns. Through the year we host a variety of events including the biannual ‘Yorga’s Koodjal Kadadjiny’ match and our WAWFL Presentation night. 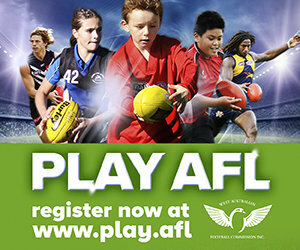 We encourage all females to pick up a footy and start playing, and thank the Western Australian Football Commission for their assistance in obtaining our goals. Through school competitions and female football programs, we are able to watch our player numbers increase and our competition become one of the strongest women's football leagues in the country.